Rob Van Dam had consistently been one of the most entertaining performers during his tenure with WWE. When he made the jump to the company in 2001 after a fallout with ECW, fans knew exactly who he was. He may have been presented as a heel, but more often than not, he would get reactions of a face. It’s no surprise that post-Invasion angle, he would turn face. 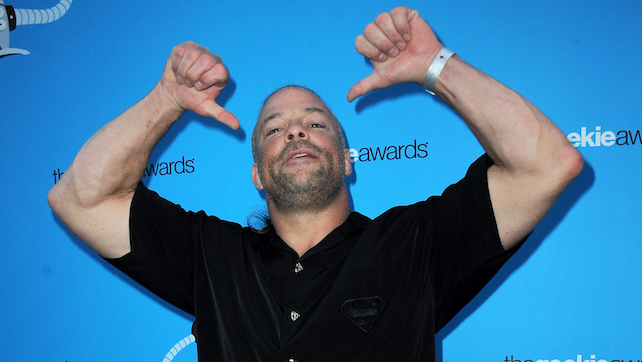 RVD has always been a natural babyface, and that could be attributed to his style of wrestling alone. He was a high-flyer, a risk taker, and he was willing to go to depths to win that few other superstars did. It’s important to remember that his era didn’t have as many high flyers as there are today, so it definitely made him stand out. His body of work in WWE, even if just for 6-7 years was absolutely incredible and there’s no doubt that he’ll be a Hall of Famer down the line. Let’s look at some of the very best of RVD’s work.